I have to admit I’m a bit of a indoor gardener. 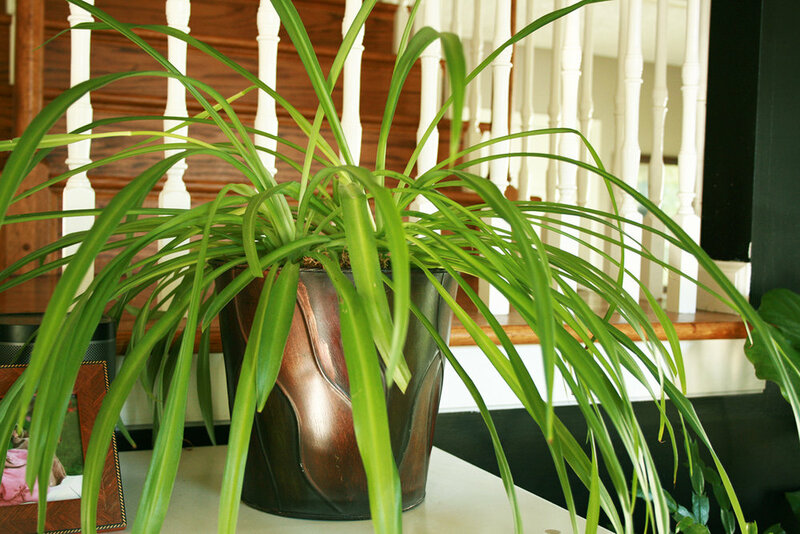 I love gardening outside no doubt, but the control and comfort available to nurturing indoor houseplants really appeals to me, not to mention the wonderful benefit they offer by cleaning your indoor air and adding beauty to your home. Although there are some plant varieties that go dormant over winter, most plants tolerate being re-potted at any time of year. 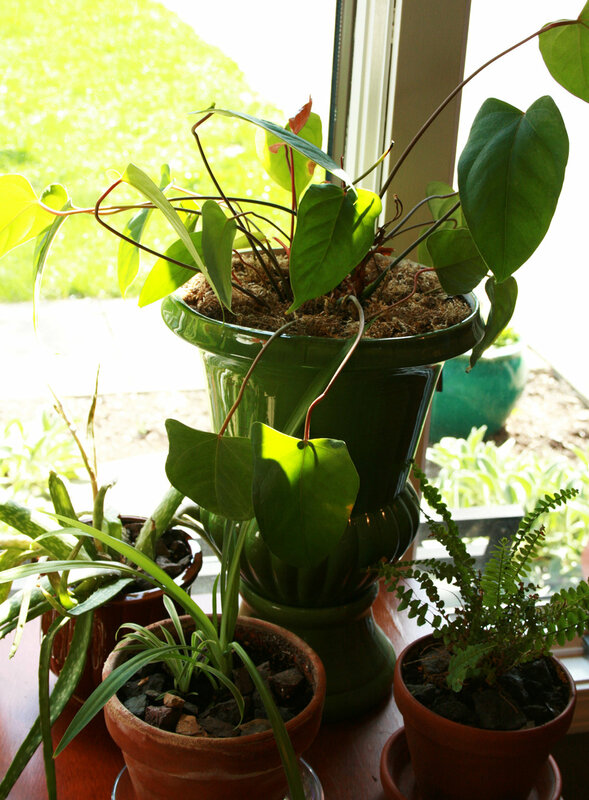 I usually make it part of my spring and fall cleaning to look over all my houseplants and re-pot any that look crowded, unhealthy or in anyway unhappy. Sometimes, even when a plant still has a bit of room it can benefit from fresh soil. Depending on the weather I will usually cart all my plants in need out to the front lawn. Find appropriate vessels for the plants – usually a good inch or two larger than the old one and make sure you have plenty of organic potting soil. When it comes to these two elements there are some things to keep in mind. Pots – Your plant will be most happy if it can breathe. 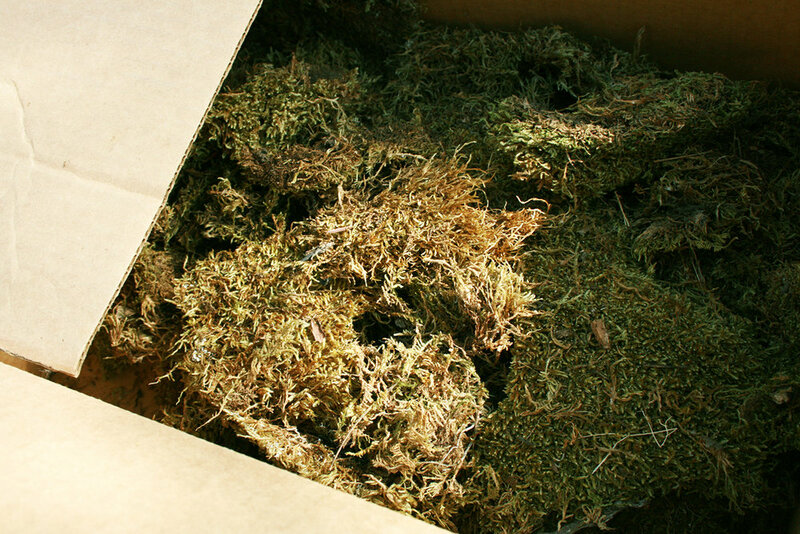 Without a drainage hole in the bottom of the container water can sit in the bottom and drown your plants roots. The material of the pot isn’t too important – I use all kinds. Plastic can be nice because it’s lightweight. With plastic you can also drill holes in the bottom if it doesn’t come with drainage holes. Terre Cotta – a classic – I use these quite a bit. The clay allows moisture out of the soil over time and leads to healthy roots = a healthy plant. Soil – I’m actually not too picky here with one exception. Don’t put a cactus in regular soil.. be sure that the type of soil you have chosen for your plant will give the plant the right amount of moisture. Tropical understory plants like ferns like a moist soil where as cactus’ and succulents want a well drained soil and air plants like orchids like a bark soil. Once I have all the materials collected I carefully pull the plant out of the pot. 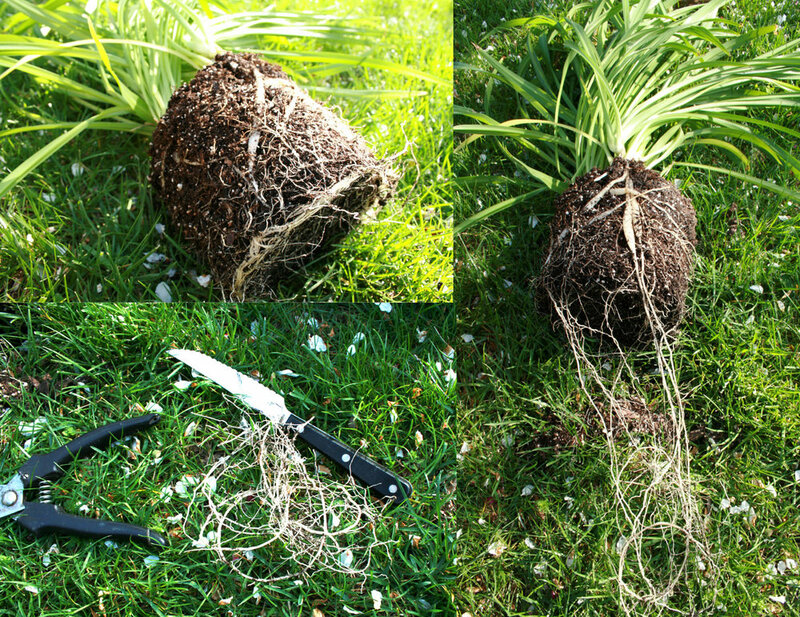 Keep the root ball intact but trim away unhealthy roots and break up any areas that are compacted (this will help stimulate new growth). I always throw some stones in the bottom of the container to help keep any pooling water off my plants roots and fill it with fresh soil. This is especially important if your pot doesn’t allow for drainage. Be sure to pat it down to ensure your plants roots have good contact with the soil then give it a good thorough watering. Some bagged soils are dehydrated so it can take quite some water to make sure the soil is saturated. Depending on the plant I might cover the top of the soil with moss, pebbles or bark. This helps keep the moisture in the soil and also makes the plant more attractive. I think people can be intimidated by plants, but it’s really not that tricky. 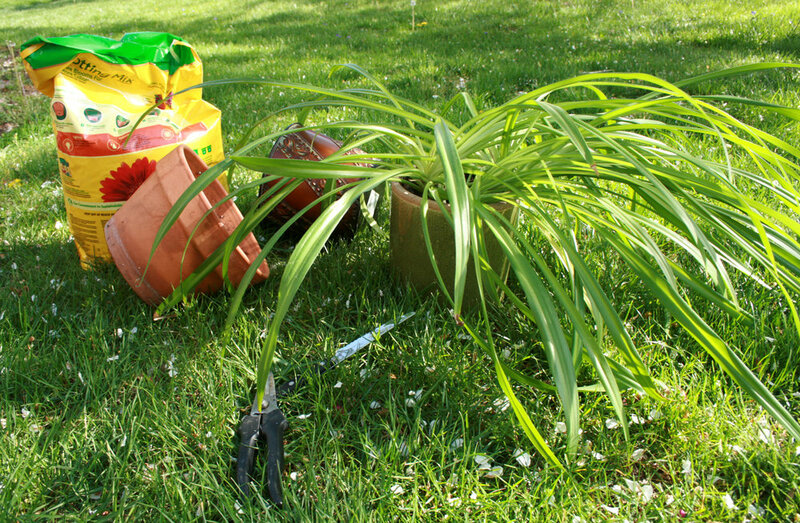 Water them once a week or whenever the first inch of the soil is dry and trim back any dead leaves or stems. I love my houseplants. The plant getting the special treatment today came home with my son from pre-school as a mother’s day gift. He’s almost out of third grade now…. it’s a lasting memory.